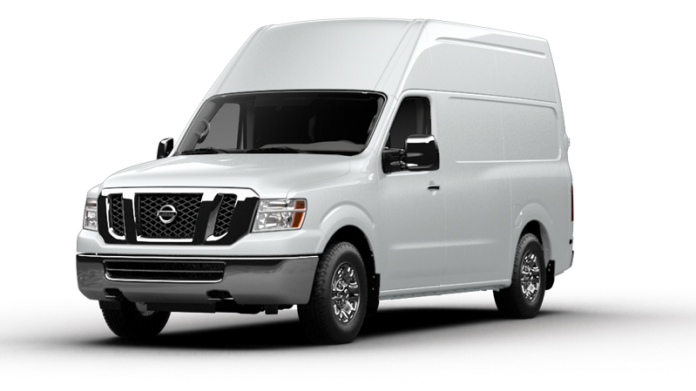 If you are looking for a real working machine, 2018 Nissan NV Cargo Van is definitely the model you should consider. Introduced six years ago, this model is still one of the strongest competitors in the segment. Reasons are numerous. With this van, you can count on plenty of load space, as well as on towing and hauling capabilities. In these aspects, it usually beats its competition. Also, there is a choice between V6 and V8 engines, as well as numerous versions. There is a familiar U.S.-adapted designation, so you can choose either most basic or those more capable models. 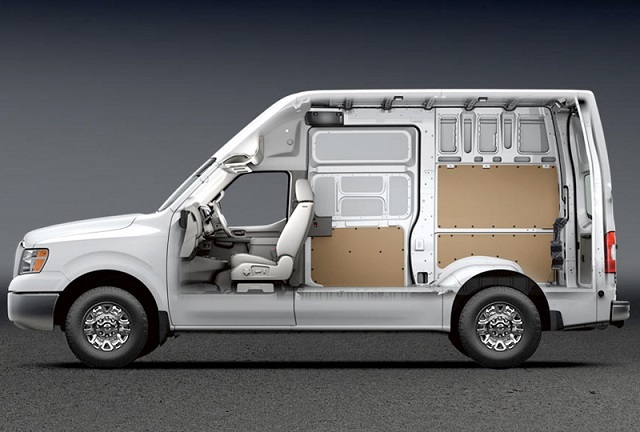 The 2018 NV Cargo Van also has a lot to offer in terms of standard equipment, including some of the hi-tech features as well. Basically, we can classification this van in three base version. The 2018 Nissan NV Cargo Van uses a familiar model designation. The base model is called 1500. As you may presume, it is the most basic version in terms of power and capabilities. On the other side, a mid-range 2500 improves capabilities for a lot. 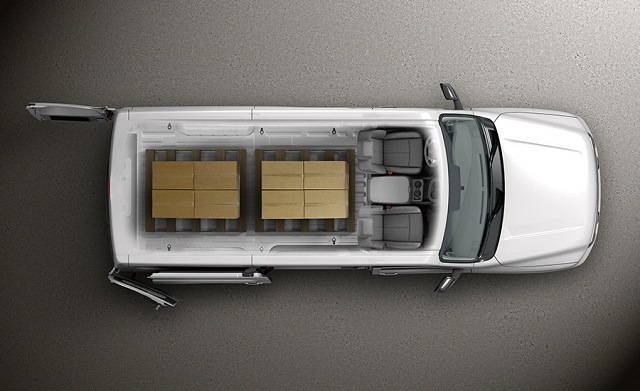 It comes with an optional high roof, which provides more cargo space. It also comes with an optional V8 engine. 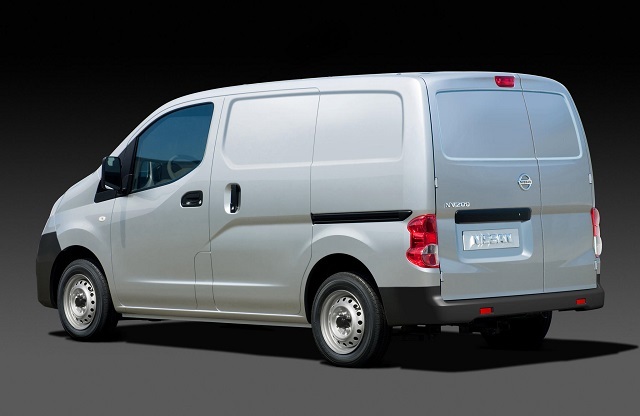 Finally, there is a heavy-duty 2018 Nissan NV Cargo Van 3500 version, which comes with either roof but with a V8 engine only. Speaking of working capabilities, the base model can tow up to 6.900 pounds, while a max payload goes up to 2.700 pounds. On the other side, a top-level 3500 model with V8 engine can tow almost 9.500, while a max payload goes around 3.800 pounds. There are three trim levels in the offer for 2018 Nissan NV Cargo Van. The base S trim is available across the whole model range. It includes standard features like 17-inch steel wheels, power windows and door locks, air conditioning, remote keyless entry, cruise control. In terms of tech features, there are things like 5-inch touchscreen, rearview camera, Bluetooth, USB ports, CD player etc. A mid-level SV adds few interesting features. For example, there are things like parking sensors, power adjustable mirrors, additional 12V power outlets, steering-wheel controls, cup holders etc. Finally, there is an SL trim, which is available in 2500 and 3500 models only. It adds chrome exterior trim, power-adjustable driver’s seat, chrome wheels, heated mirrors etc. Of course, there are various optional features, including hitch and a trailer brake controller, 5.8-inch touchscreen, navigation, voice control etc. The 2018 Nissan NV Cargo Van comes in two variants when it comes to powertrain. Base models are equipped with a familiar 4.0-liter V6 gasoline engine, which is good for about 261 horsepower and 281 pound-feet of torque. It comes in a pair with a 5-speed automatic transmission and already offers amazing results when it comes to towing and hauling. On the other side, there is an optional V8 unit. It is a familiar 5.6-liter engine, which is in use for various Nissan models, and which proved itself as an excellent unit. A max power goes around 375 horsepower and 387 pound-feet of torque. When it comes to transmission, this engine can be paired with a 7-speed automatic gearbox. Although a V6 already provides adequate performances, driving experience with V8 unit is even better. After all, towing capacity goes over 9.400 pounds. When it comes to the price, the base 1500 model goes around 30.000 dollars. A mid-range 2500 starts at 32.000. 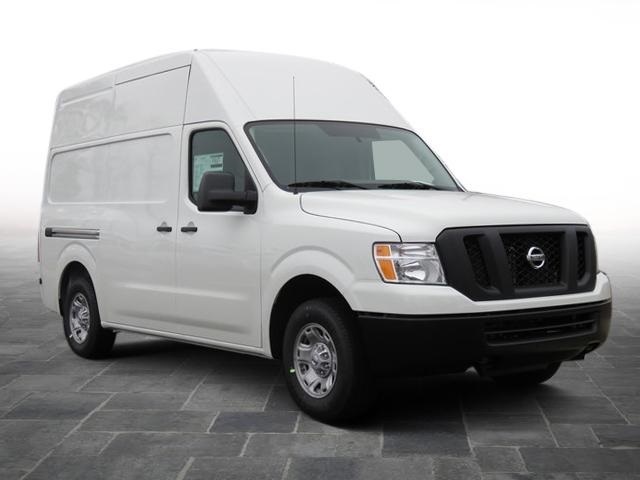 If you are looking for some value option, there is a 2018 Nissan NV Cargo Van SV with the V8 engine, which is good for about 36.000 dollars. Finally, 3500 model goes around 39.000 dollars.